I just want to wish everyone a happy holiday season and I hope everyone gets to spend it with the people they love! Be thankful for all the miracles in your life - big or small! So last weekend we headed a hour up north to Sacramento. Over the last few years I have really fallen in love with Sac! From vegan restaurants and Whole foods to walking around mid town and all the little shops. Here are some of my favorite Sacramento places, some big and some small - however they are all worth checkin' out! -First up is what I like to think of as the 'vegan house' on K Street. 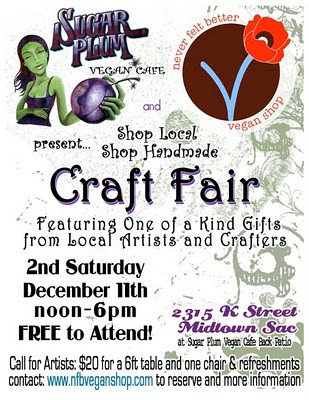 Sugar Plum Vegan and Never Felt Better team up to offer food, baked goods, stuff for the house and all your vegan cheeze needs! I love having so many choices under one roof! -Staying on the grid I like going over to the Gluten Free Specialty Market that carry a lot of vegan products! Even if you are not GF (I am not) it is worth seeing what vegan stuff they have to buy! -Lush in Macy's at the K Street Mall. The staff at this location are super nice, some of the nicest sales people I have encountered! -Queen Sheba has a all you can eat vegan buffet for lunch Monday through Friday. The best day to go is Friday for the tofu tibs. The bread is so tasty you will want to smuggle it out in your pockets! -Whole Foods on Arden gets Bicycle Bakery fudge cake in - so damn tasty, you need a slice - now! -On our way home from Sacramento we have been stopping at the recently opened Loving Hut in Elk Grove. We love starting off with something fried - which is a rare treat and I then take 20 minutes trying to pick something since I want to try it all! Bonus picture - Matt at his gallery debut at Side Show Studios. 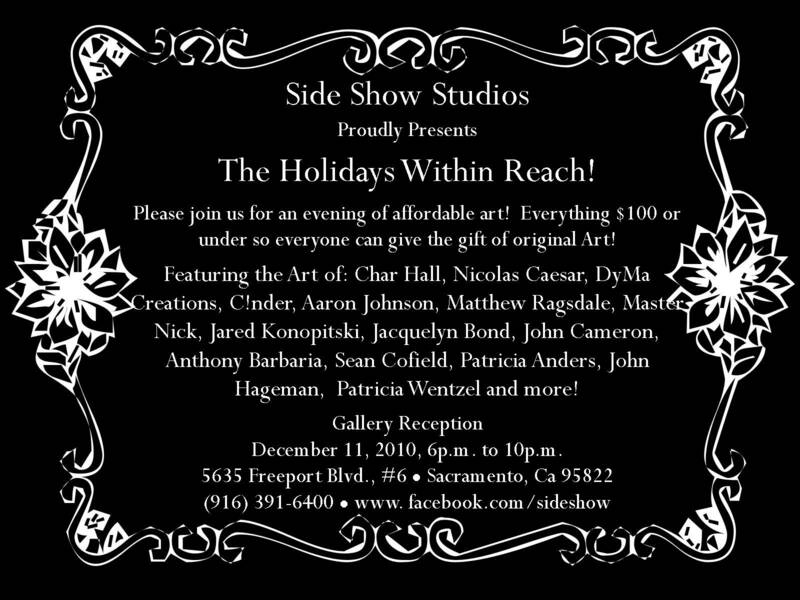 There was a lot of cool art going on that night! I can't wait to go back and get tattooed by Char! For the last few weeks I have been battling a cold/cough/runny nose. Once the cold was gone I have been stuck with a lingering cough. I have my arsenal of cold fighters to help me feel better and get back on track. 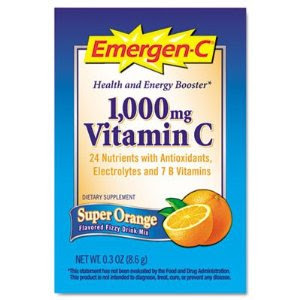 Once I feel a cold come on I reach for Emergen-C. I mix a packet in with my water and I continue doing so daily till I feel better. It kick starts the feel good energy in my system. 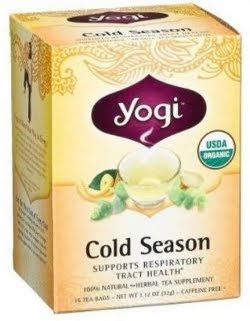 So this tea kinda tastes like herbal chest rub, however it really breaks down your cough and helps soothes a achy chest. It contains a lot of feel good herbs like cinnamon, clove, ginger and cardamom. Drink a warm cup in the morning to help you breathe better all day long. 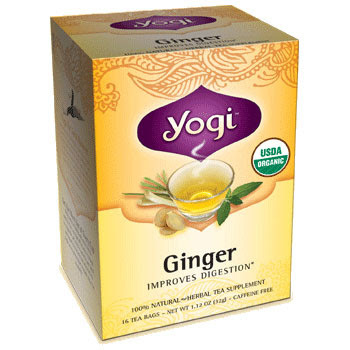 Another tea by Yogi - this is more pleasant to drink and ginger is known to help stomach aches - good for when you really do not want to eat. Both of these teas can be found at Trader Joe's at around $3 a box. 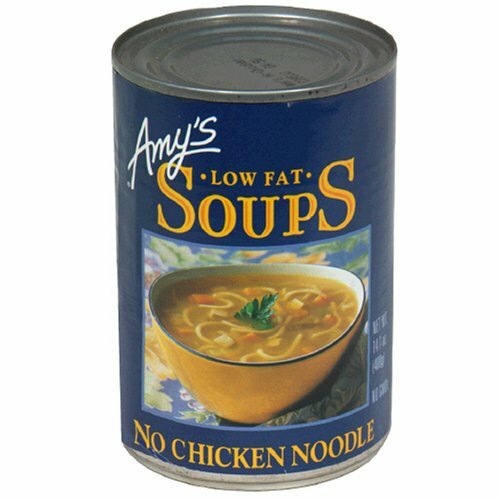 When your appetite is weak reach for some Amy's "No Chicken Noodle" soup. It is comforting and will warm you up without making your stomach ache more. I think it tastes great with a pinch of nutritional yeast sprinkled in. Remember get a lot of rest, take it easy and feel better soon. I had a crazy busy weekend. We did Hand Born for the fourth year in a row - the biggest indie craft show in the area on Saturday night, 5 hours of selling, chatting, loud music and fun! My table set up this year was packed the night before so I did not stress. I love crafting and baking - my dream is to open a cute lil vegan bakery/art space/retail shop/concert venue. 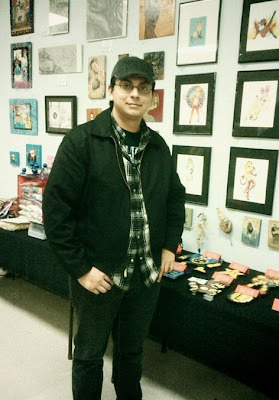 Doing craft shows help me figure out business plans for the future and see what skills I need to improve on. 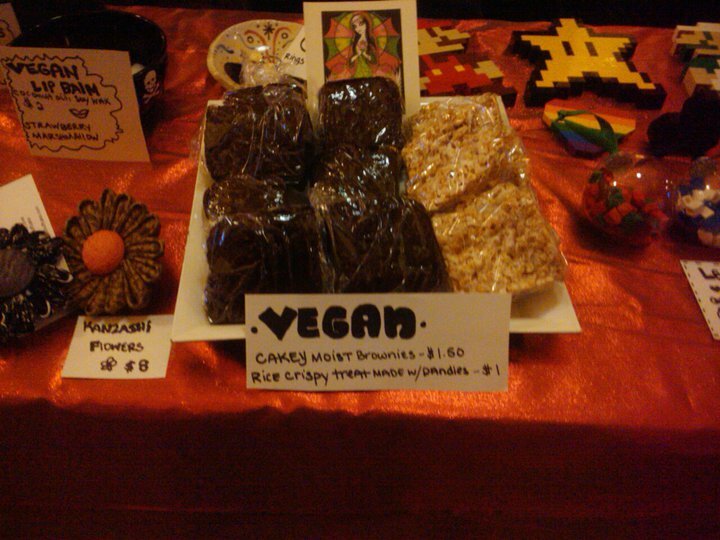 I like promoting veganisim with yummy treats. One of my top sellers is my 'cakey moist brownie'...This year I made those and rice cereal treats. 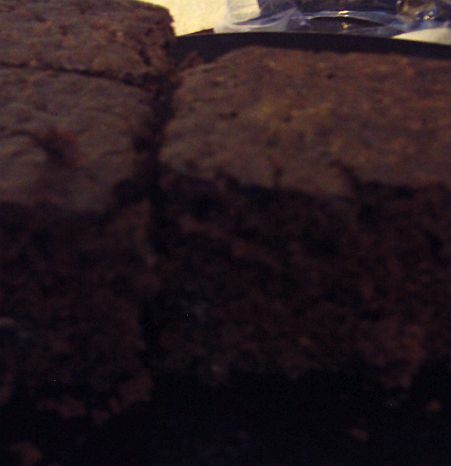 One lady bought a brownie even though she just bought food from the cafe after seeing my brownies. She ate my brownie first! Don't bother asking for my brownie recipe! I sold out on a lot of things and have another show coming up in two weeks. 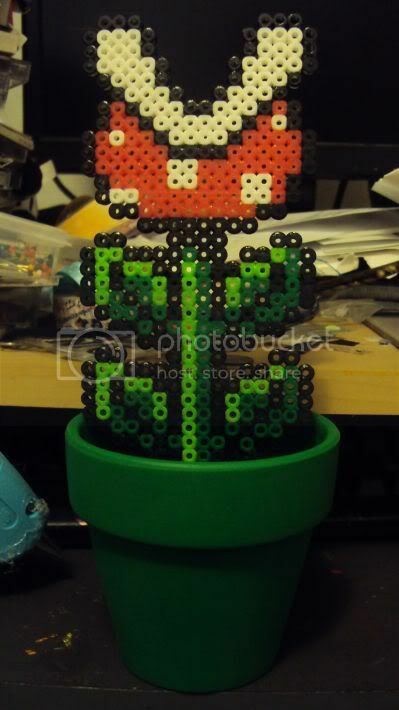 I started making more stuff! I can't wait. While I am busy sewing and knitting my boyfriend will be busy editing a new music video he directed! 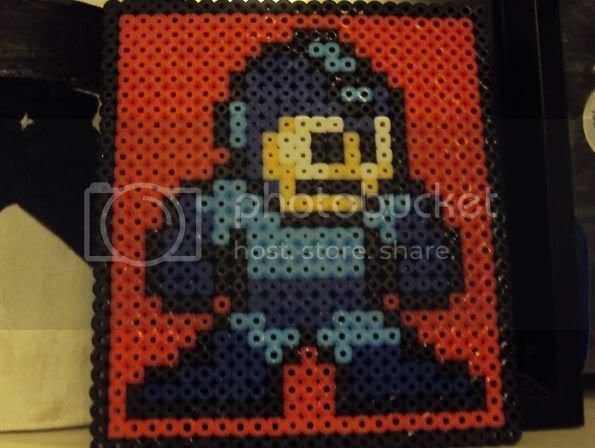 He also has a gallery premier showing off his 8-bit work. I just started holiday shopping, and have lots of baking to do and holiday pictures of Mar to take. 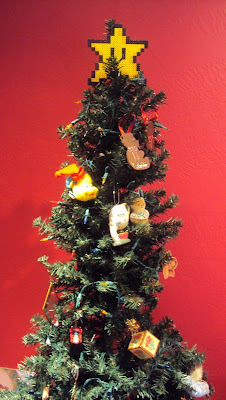 It is going to be a creative holiday this year! 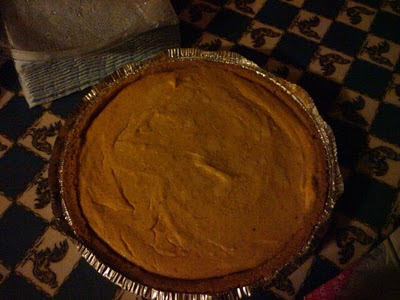 Tonight I was able to go to a vegan potluck - I brought a pumpkin cheeze cake and a big ol' dish of baked mac & cheeze. The last vegan potluck I went to nothing but a few slabs of burnt tofu were actually vegan, everything had dairy and eggs - um OK. So I was kinda worried on if I should bring more food or eat beforehand. This time around I was really happy with the outcome! 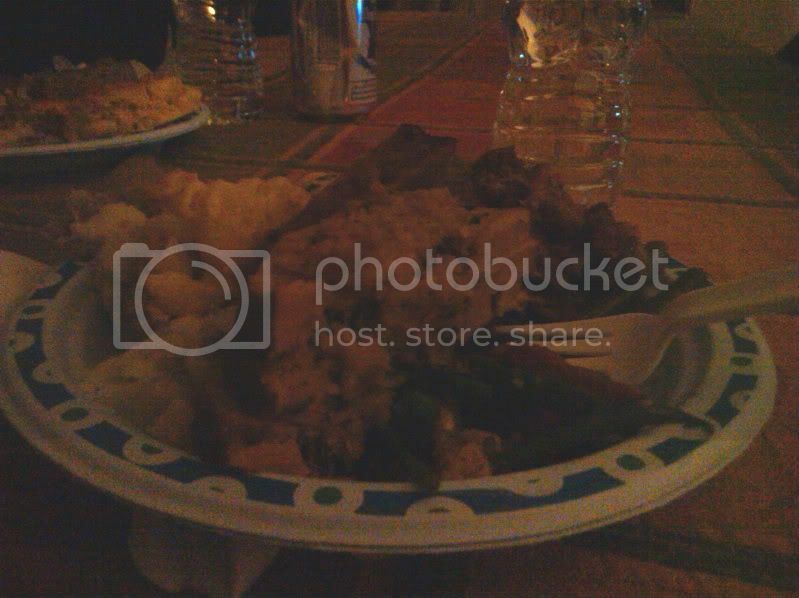 There was so much food - it was crazy. 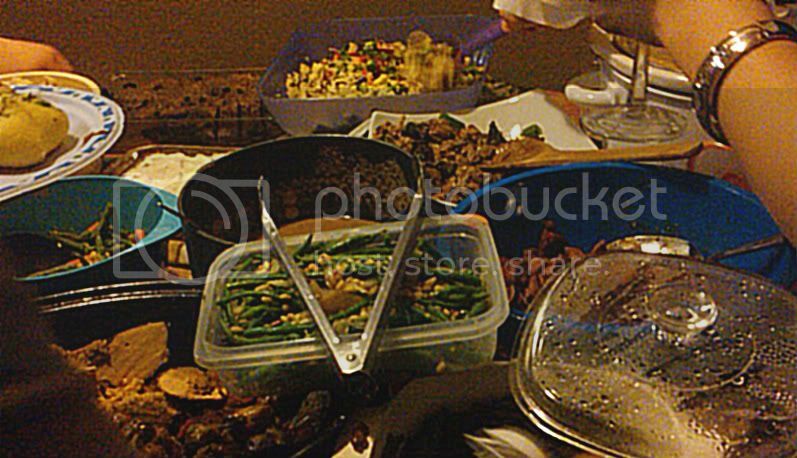 Two things of tofurkey, noochy potatoes with gravey, 2 things of different green beans, cranberry stuffing, sweet potatoes, garlic rolls, veggies, pies, cake...I loaded up my plate...I event went back for more tofurkey - I am not a fan of mock meats but it was really good! There was so much stand out food! The last two years I have been making vegan pumpkin cheeze cake to bring as my dish to places. 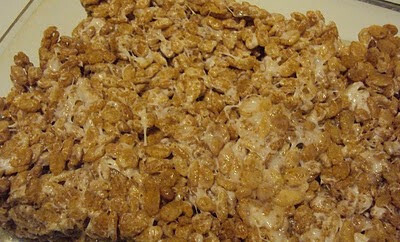 It is very simple to make and thanks to Keebler's Ready Made Graham Crust it is super easy and stress free. 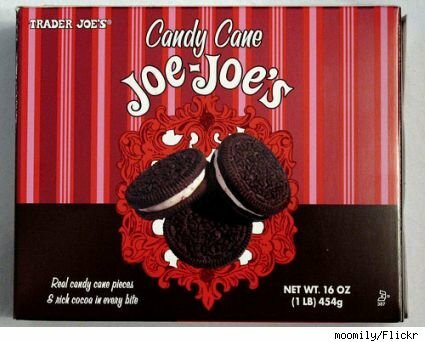 This is actually a veganized recipe from Keebler! 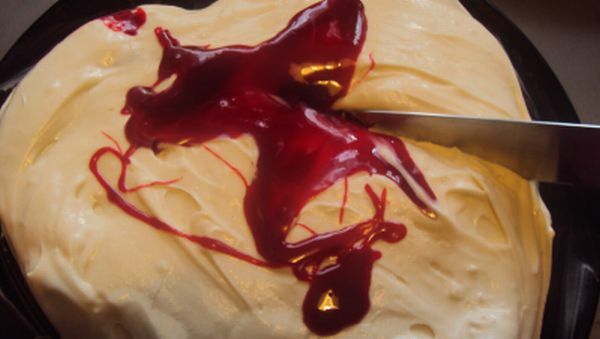 In large mixing bowl beat cream cheese on medium speed of electric mixer until fluffy. Add sugar and spice. Beat until combined. Add egg - replacer 1/2 mixture at a time, mixing until just combined after each addition. Stir in pumpkin. Pour into crust. Bake at 350°F for 30 to 35 minutes or until center is almost set. Cool for 1 hour on wire rack. Refrigerate at least 3 hours. *sorry for more low light cell phone pictures, I always have my phone yet never think to bring my camera! I am thankful for so much this year...A year of cancer free life for Mar, Matt having a new job, a roof over our heads...All is good. 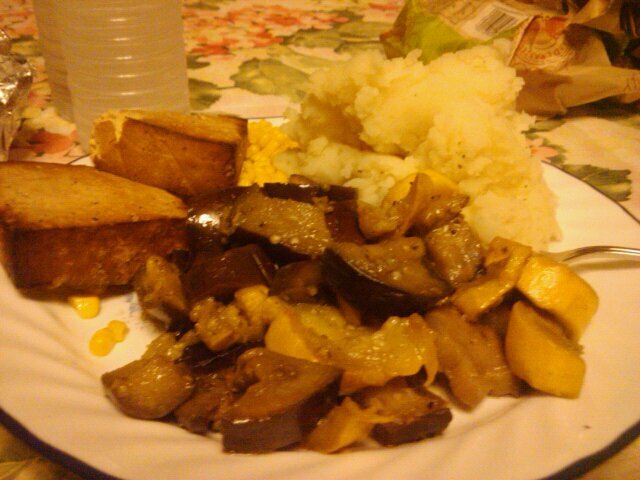 This was dinner at my mom's: baked savory tofu, mashed potatoes, veggies, corn! It was simple but delicious! I made a pumpkin cheeze cake - a new tradition. In fact I am making another tomorrow and will post the recipe! I am full and have a crazy busy weekend ahead! Tomorrow we have been invited to a vegan potluck. I am stoked! *sorry for the low light cell phone pictures! 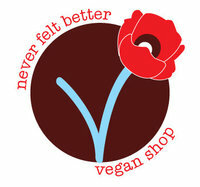 Last month I got to check out the new all vegan shop Never Felt Better in Sacramento creating a buzz! Not only does Jen - the owner know how to pick some awesome stuff (including some of my handmade goods)she is super awesome and all around nice! I got to ask Jen a few questions about being vegan in Sacramento. 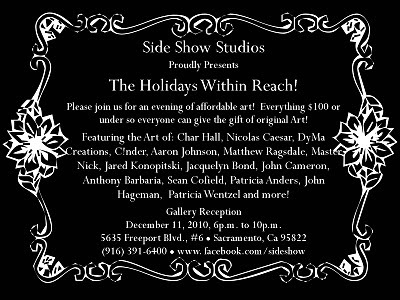 I can't wait to be back in Sacramento next month for shopping! -what gave you the idea to open Never Felt Better? i have always wanted to open my very own store. in the early 90's it was a flower shop, then a buy-sell-trade, then a craft co-op. when we lived in portland we saw how successfully herbivore/foodfight! grocery thrived within the vegan community and it became a no-brainer. 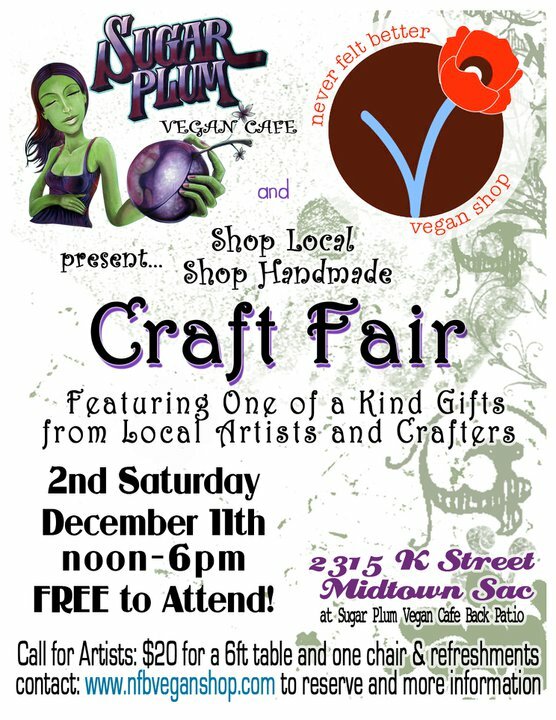 i think with NFB, i have found a marriage of my passion for veganism and handmade that can be sustainable here in sacramento. -how do you pick what goes into the shop? i love to support my friends who work so hard at their businesses and who have supported me over time. 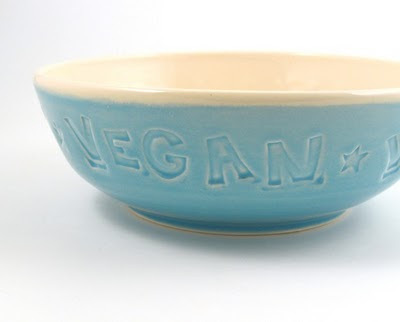 i have had a mental checklist of folks whose items i have fancied for years since going vegan that i would love to carry in the store. i like to think the handmade items i buy are not only cute and well made but things people want to spend money on. -what are your favorite items you carry? the vegan dish pottery bowls and mugs, herbivore tee's, and all the food items. especially now i have a fridge full of sweet and sara smores and marshmallows! 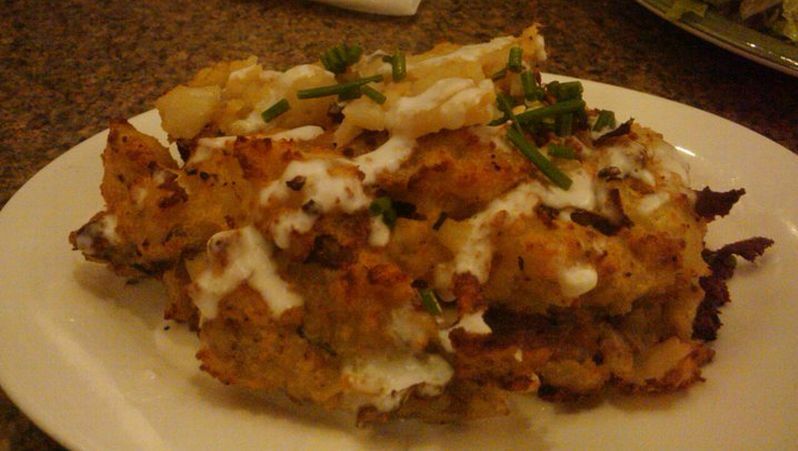 -what is your favorite place to eat in the Sacramento area? we love au lac veggie, of course sugar plum vegan, loving hut in elk grove and zpizza in roseville. we love to eat out so i could not even come close to choosing just one. It's no lie how I love accessories - be it ones I wear or ones that help me cook up something tasty! I know a Snoopy snow cone machine is not for everybody - but I had one as a kid, my sister and I played with it for hours. I have one still in the box - it bring back many memories. 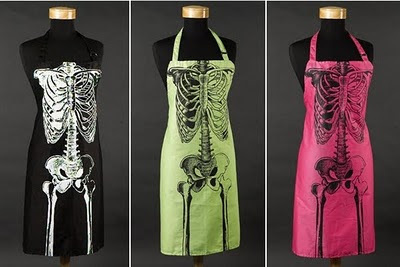 I have tone of aprons (and never wear them!) but I love these cool skeleton ones! I think these dishes are totally awesome! I can see them working in a kitchen or a handy potluck accessory. Not really a tool to help in the kitchen but pair these Pac-Man shot glasses with your booze of choice and you will have help relaxing! No matter what your kitchen docore is - just remember to have fun! Last week we got a order in from Vegan Essentials of some much needed and not so needed products. I tried to get some things that seemed interesting and a few things that looked good. Here are a few hits and misses including what Matt thought. We love queso around here, we just plop it over tortilla chips and call it a day. I was curious to see what a jar version tastes like. Nacho Mom's Ultimate Vegan Queso called out to me - who can resist cheezy flavor in a jar! 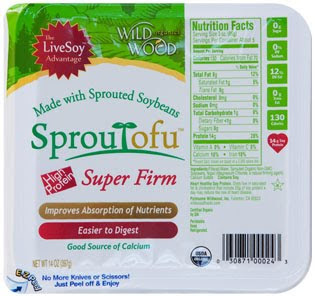 I found it tasty, it had a slight kick and it is super healthy. For the price I am happy making my own though! Matt says: Not high on the cheese factor, thick though and overall good. Dark Angell Organic Candy Bar has a nice chocolaty taste and I love the addition of the nuts, it reminds me of a old school in your lunchbox Kudos bar! Matt says: The candy bar was good, but not the best I've ever eaten. It had a nice chewy chocolate bite. 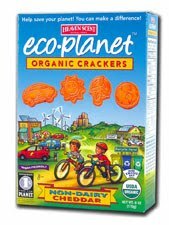 Cheese Crackers by Eco Planet are so tasty. The reminded me or cheesy crackers, a cross between the fish shaped ones and the ones that ended with it!I opened the box when we had company and we munched away happily. I am just a bit disappointed that a third of the box was crumbs. Matt says: The cheese crackers have a great after taste. At first it tastes bland but then it the "cheese" kicks in and it's good. The only disappointment with the products we tried was the gumballs by Dylan and Delaney . We tried the sour apple flavor wich was not really flavorful. The big complaint though was the texture of the gum. It was just mush and never really formed into something you could chew, so after a minute we spit it out. Matt says: The gum balls were gross, they had absolutely no taste and they were not chewy. We all know it can be a pain to press tofu, not to mention the wasted paper towels. 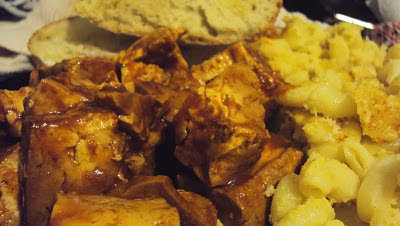 Well, after my go to tofu source ran out of extra firm tofu this week and I needed a few block to make Matt's BBQ tofu I turned to WildWood. 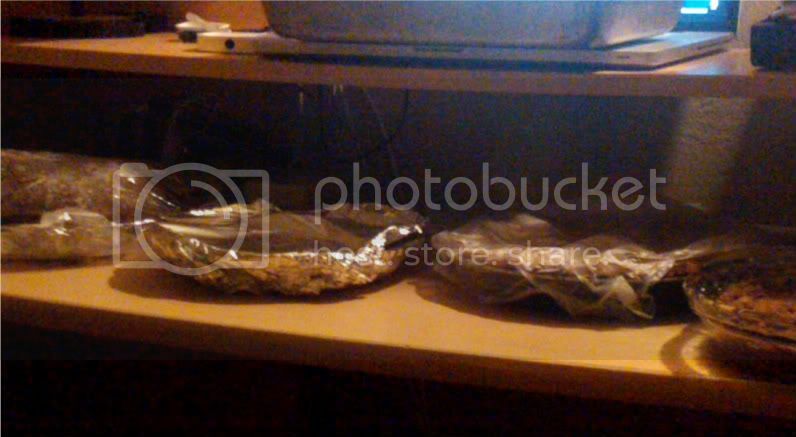 The block I got was huge and it was vacuumed sealed without water. It did not need to be pressed just blotted and it was good to go! 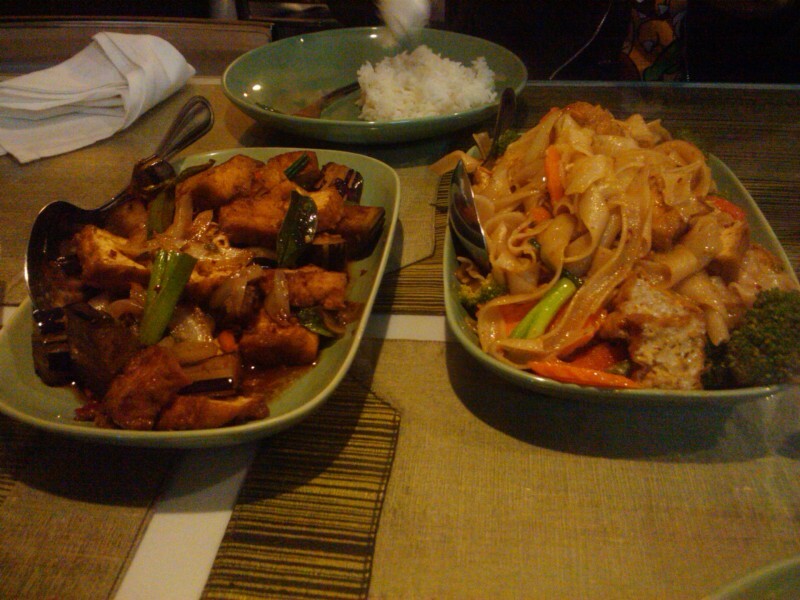 It was firmer than the old water packed tofu many of us are used to but it was good! A few months ago over on the PPK someone mentioned using a Shamwow to press tofu. My good ol' pal Kyle gave me a Shamwow and I tried it and it worked great. It made me use less kitchen towels and paper towels! Who said info commercial products are junk? I shop at Raley's weekly and have for many years. I have lived near a Raley's now for the last 10 years making it easy to get to and convenient. A lot of people complain saying Raley's is a pricey store, I don't see it as such since they have such a huge selection of vegan products including a clean well stocked organic produce section and bulk bins with nutritional yeast! 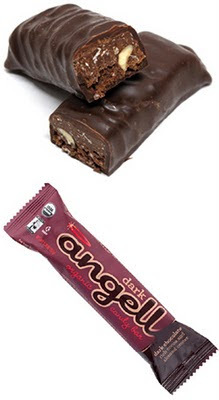 Other stores see vegan products as more of a specialty item and charge crazy amounts - even for raw sugar! 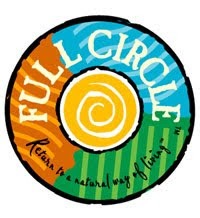 One way I save money at Raley's is by buying their Full Circle line of products. The canned organic beans and tomato sauce is always on sale and saves me a few dollars from the organic brand in the natural foods section. The line even carries home cleaning products free of animal ingredients and testing, again saving me a few dollars. Every dollar counts in this economy. Start saving yours by buying generic or store brands. Just save me some organic beans for me and all will be good! I have a ton of vegan cookbooks and can't wait till new ones come out. I collect everything from the big glossy books down to handmade zines. 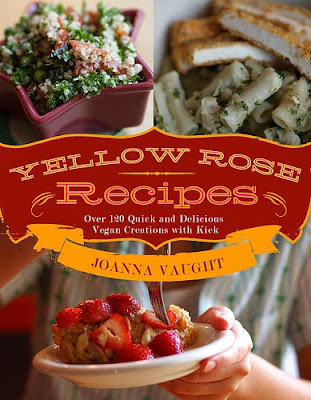 When I was at Never Felt Better in Sacramento last month I picked up Yellow Rose Recipes. I love this cookbook, the simplicity of it and the at home comfort food feel of the recipes get me in the kitchen. Tonight I made the tamale pie and while I have no pictures I can say it reminded me of the dish my mom made me as a kid from a box. It was comforting and I was able to use canned beans and have everything in the oven with under a hour of prep! All the recipes have this ease. I have more of the recipes bookmarked but will most likely go with the spice cake next! This book is a must have for those seeking yummy vegan dishes that are comforting and stress free! Yup - I made rice krispy treats the other day and they reminded me of youthful days when my mom would make them for me! For 15 or so years I had yet to have a decent rice krispy treat due to lack of decent vegan marshmallows. Then Dandies came along and made me go all nostalgic for the treats of my youth! Melt EB in a large pan, when melted add Dandies, let melt over medium heat for a few minutes until they are melted (stir them every few minutes). 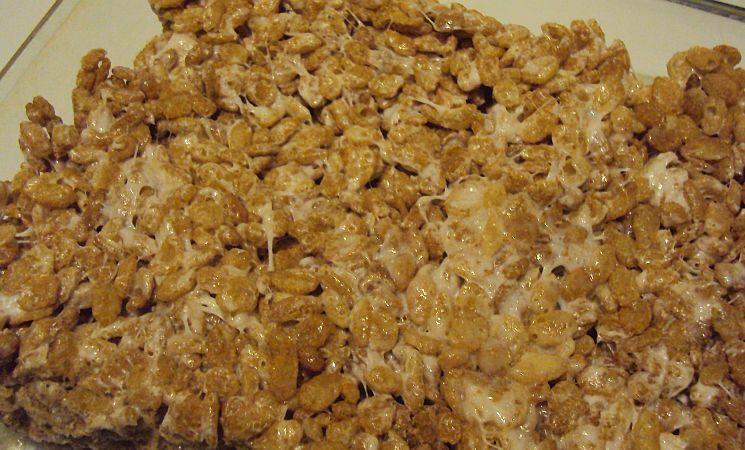 Add cereal, turn off heat and mix well. 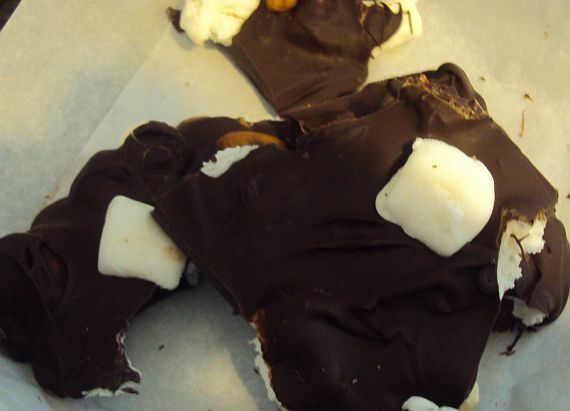 Put mixture into a lubed 8X8 pan (or larger if you like thinner treats) and let cool for a hour! *Original Rice Krispies are said to contain D3 - lanolin - ick! 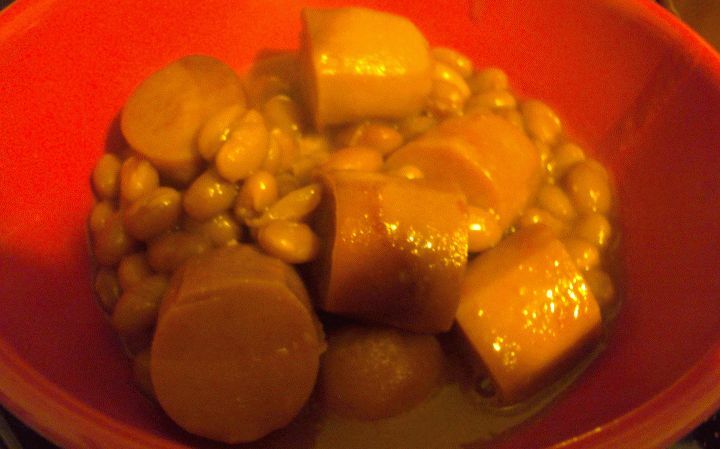 So a few weeks back I was about to fall asleep and was really craving beans and weenies, something I kind of remember as a kid...The next day I looked at a few recipes but nothing fit my needs. So I went to the grocery store and picked up a few things and combined those with my pantry essentials (canned beans!) I came up with the recipe below. Go grab your slow cooker kids! Combine all the ingredients in the slow cooker, cook on low 4-5 hours and eat! Simple and satisfying...I bet kids would like this if you are into that sort of thing! As we head into the weekend I want to offer a quick tip: Yelp! If your city has a Yelp section use it! I love sharing food around town on Yelp because often people ask "what can you eat vegan in Modesto" and I point to my reviews on Yelp. I also like supporting local business that offer vegan friendly food and hope other read my reviews and help keep theses places in business! I use Yelp a lot when I go to other cities, for ideas to find vegan friendly food to good book stores...I have a lot of saved bookmarks to check out! Yelp has really come in handy. I even have the Yelp app for my phone! I hope you Yelp too! I love Mexican food - going out to eat at Mexican places is rather hard. Everything from beans to guacamole can be off limits due to animal ingredients. Here is a list of things to look out for if you happen to go out and eat at a Mexican restaurant! 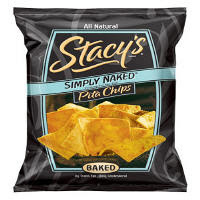 chips: these can be fried in lard. beans:can contain lard or pork bits. tortillas can contain lard or l-cysteine. rice: this can be cooked with chicken broth. gucamole: can often be stretched by using sour cream. "vegetarian" options: there is a local chain that has a veg section - problem is everything has lard in it, I guess because they feel there is not actual meat in it that it is vegetarian by default. My boyfriend's mom has a dinner time staple - rice. 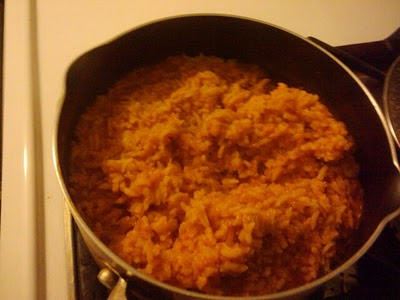 Sometimes it is called red rice or Spanish rice...we just call it rice. Don't mind the cell phone picture - it is tasty! Place rice in a pan (with a lid) and add oil, fry rice for a few minutes on medium heat, till the rice gives off a scent and is slightly browned. Turn heat to low and add liquid, cover and cook for 25-30 minutes - till all the liquid is absorbed. You can cut up lemons and add a squeeze of lemon juice to the rice like my boyfriend likes to do! Enjoy! First off let me say HAPPY WORLD WIDE VEGAN DAY!!!! 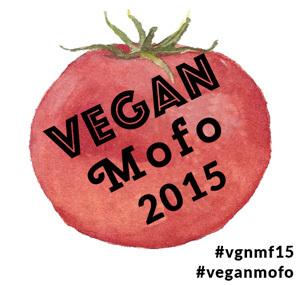 This kicks off a month of blogging about vegan food for many of us vegans on the net. For me I do not have a theme - I plan on going with a mix of every thing. One feature I hope to implement is 'Matt's Omnivore Dilemma' - were my loving boyfriend will give his opinion about vegan products and be my taste tester with recips! 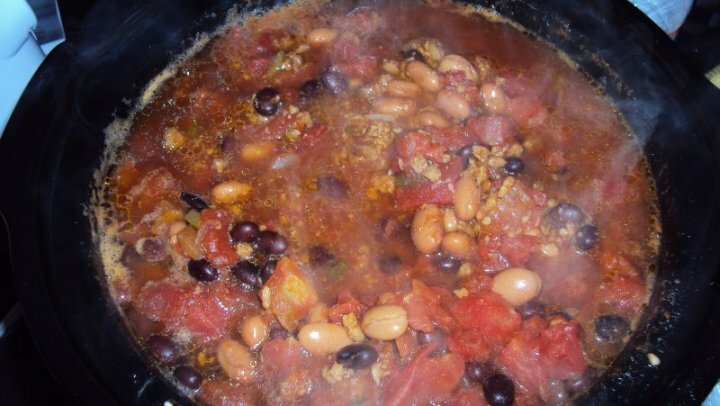 With that said I better get back to my slow cooker and check on my beans and weenies (recipe will show up soon)...Here is to a good month of vegan food! I am rather new to Swap-bot and quickly have grown to really like the site and what goes on over there. Mostly I like joining ATC swaps, a tiny space is so freeing for me to be artistic, the limited space makes me feel secure in the possibilities I can create. 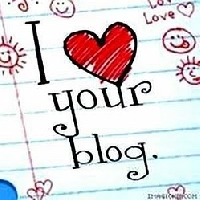 Last week I joined a swap titled I ♥ Your Blog! as a way to meet other bloggers. I discovered some new blogs and am having a good time reading them. 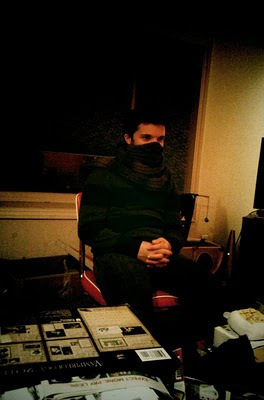 Here are the blogs I got to discover as part of the swap. Memories Through Quilting is a new blog dedicated to quilting of course! I liked the bathing kitty photos most - since I am a cat lover! El Blog de Jex is a crafty blog full of ideas! It is in Enlish but the blogger is from Mexico - reminds me I need to learn more Sopanish just to get by at the botanica! Sweet Maple Life has a nice clean layout that is easy to read. Not only does Mary like crafting she likes cosmetics - yay! Kimitty Kim is full of super kawaii things! I love all the cuteness!!! is delivering craftiness from Southern CA, from ATC storage to jewelery tips! 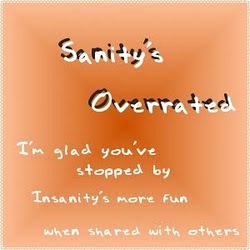 Sanity's Overrated plans on reading 100 books in a year - so far there are a few books finished. I like this idea since I like reading myself! Novel Niche: A Place for Books has a clean layout and lots of in depth book reviews! I need to take some of the titles to the library next time I go!